This week Science Club took to the skies! This week pupils attending Science Club took to the skies! 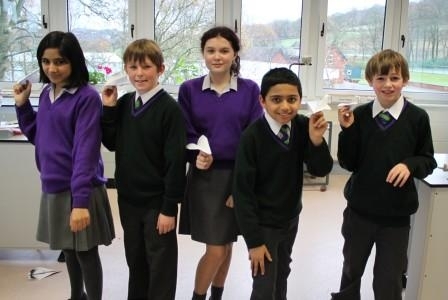 The pupils made paper aeroplanes of differing sizes for a physics experiment to see how the size of the aeroplane affected the way in which it travelled through the air. Much fun was had by everyone who attended!